It's got "everything to do with just trying to turn over the fleet … and get more clean and safe cars on the road," EPA assistant administrator Bill Wehrum said. Transportation experts questioned the reasoning behind the proposal. California Gov. Jerry Brown on Thursday called the Trump administration proposals "an assault on the health of Americans everywhere. Under his reckless scheme, motorists will pay more at the pump, get worse gas mileage and breathe dirtier air. California will fight this stupidity in every conceivable way possible." The Obama administration had planned to keep toughening fuel requirements through 2026, saying those and other regulations on vehicles would save 40,000 lives annually through cleaner air. The argument remained on the EPA's website Thursday. According to Trump administration estimates, the Obama fuel efficiency standards would raise the price of vehicles by an average of $ 2,340 US. That would price many buyers out of the new-vehicle market, forcing them to drive older, less-safe vehicles that pollute more, the administration says. Heidi King, deputy administrator of the National Highway Traffic Safety Administration, said the freeze would reduce highway deaths by 1,000 per year "by reducing these barriers that prevent consumers from getting into the newer, safer, cleaner, more fuel-efficient cars." President Donald Trump had directed the rethink of the mileage regulations, saying in March 2017, "If the standards threatened auto jobs, then common-sense changes" were needed. 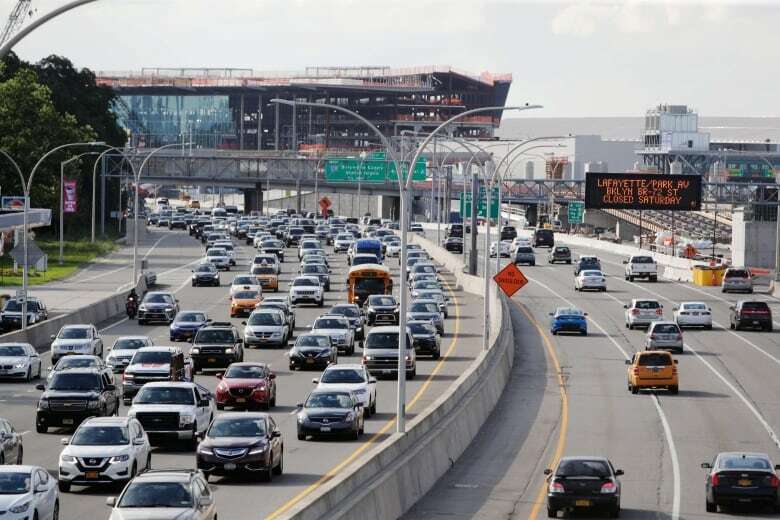 Auto jobs were not a major part of administration officials' case Thursday for the rollbacks. More than a dozen states follow California's standards, amounting to about 40 per cent of the country's new-vehicle market. It's costly for companies to design and build vehicles for California and states that follow its rules, and a different set for the rest of the country. Automakers have said they want improved efficiency but also want standards that account for the massive shift from cars to trucks and SUVs. The Alliance of Automobile Manufacturers, a main industry group, said Thursday that the Trump proposal means it's time for negotiations to begin. "We urge California and the federal government to find a common sense solution that sets continued increases in vehicle efficiency standards while also meeting the needs of American drivers." In 2012, when the standards were first adopted, cars were about 50 per cent of new-vehicle sales. Now they're only about one-third, with less-efficient trucks and SUVS making up the rest.